The contents of this Website, including but not limited to text, design and images, are owned, except as otherwise expressly stated, by International Bancshares Corporation or one of its subsidiaries (hereafter referred to as "IBC" or "Bank"). No part of this Website may be copied, forwarded or distributed (for compensation or otherwise), changed, framed, or stored for future use without prior written consent of IBC. The information and materials contained in this Website are subject to change without notice at IBC's sole discretion. IBC will notify you of amendments to these Terms and Conditions by posting them to this Website. If you do not agree with these Terms and Conditions, please do not access this Website. Information, products or services offered herein offer no solicitation to persons in jurisdictions where the provision of such information, products or services is prohibited by law. You are strictly prohibited from unauthorized use of our systems or this Website, including but not limited to unauthorized entry into our systems, misuse of passwords, or misuse of any information posted to this Website. The works of authorship contained in this Website, including but not limited to all design, text, sound recordings, and images, are owned, except as otherwise expressly stated, by IBC or one of its subsidiaries. Except as otherwise expressly stated herein, they may not be copied, transmitted, displayed, performed, distributed (for compensation or otherwise), licensed, altered, framed, stored for subsequent use, or otherwise used in whole or in part in any manner without the owner's prior written consent, except to the extent permitted by the Copyright Act of 1976 (17 U.S.C. 107), as amended, and then, only with notices of the owner's proprietary rights. Except for any third party exchange data, you may download information and print out a copy for your personal use, so long as you do not remove any copyright or other notice as may be contained in information, as downloaded. Use of this Website may be monitored, tracked and recorded. Anyone using this Website expressly consents to such monitoring, tracking and recording. You are responsible for being familiar with the current version of these Terms and Conditions posted on the Website during each session. The information on this Website is for information purposes only. It is believed to be reliable, but we do not warrant its completeness, timeliness or accuracy. User accesses, uses, and relies upon such content at User's own risk. Please seek the advice of professionals as necessary regarding the evaluation of any content on this Website. The information on this Website is not intended as an offer or solicitation for the purchase of any stock, any other security or any financial instrument or to provide any investment service or investment advice in any jurisdiction. Securities (including repurchase agreement, mutual funds and variable life insurance), annuities and insurance products are not bank deposits and are not insured by the FDIC or any other agency of the United States, nor are they obligations of, nor insured or guaranteed by, IBC or any of its subsidiaries or affiliates. Securities (including mutual funds and variable life insurance) and annuities involve investment risks, including the possible loss of value. The information and materials contained in this Website - and the terms and conditions of the access to and use of such information and materials - are subject to change without notice. Products and services described, as well as associated fees, charges, interest rates, and balance requirements may differ among geographic locations. Not all products and services are offered at all locations. Your eligibility for particular products or services is subject to final IBC determination and acceptance. Some of our other Websites or pages within this Website contain supplemental terms and conditions and additional disclosures and disclaimers, which are in addition to these Terms and Conditions, disclosures and disclaimers. 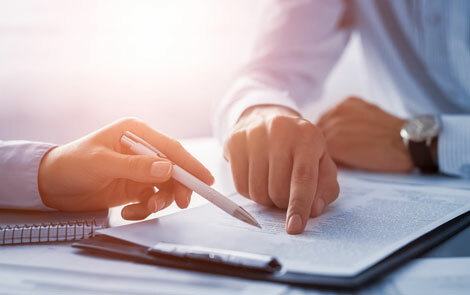 In the event of a conflict, the supplemental terms and conditions and additional disclosures and disclaimers will govern for those sections or pages. The value of the securities or financial instruments mentioned herein (including the income derived therefrom) may be adversely affected by changes in market prices and exchange rates, the imposition of taxes and other factors. Prices, opinions and estimates reflect IBC's judgment on the date of original publication and are subject to change at any time without notice. Information concerning past performance is not necessarily a guide to future performance.